In the days leading up to the start of the 2019 season, the Miami Marlins made it clear that the youth movement has completely taken over. Veteran Dan Straily was released and Wei-Yin Chen was sent to the bullpen, paving the way for a pitching rotation that doesn't boast a player over the age of 27. When the last of the team's high-value veterans, J.T. Realmuto, was dealt to Philadelphia this offseason, it became painfully obvious that the Marlins are in full rebuild mode (again) and will occupy the bottom of the NL East. If there is one asset the Marlins have left, it's hope. A renewed focus on the farm system and international signings, along with fancy new uniforms and minor ballpark improvements, at least give the few remaining faithful fans a glimpse into a future where failed front office moves and habitual cost-cutting aren't the norm. It will take time but at least there has been a small step in the right direction. In the fantasy baseball world, the future may come sooner than expected. Young flamethrowers no longer have to bide time before making an impact. We are seeing this even with contenders such as the Braves and Cardinals, where Kyle Wright, Bryse Wilson, and Dakota Hudson have earned rotation spots already. A young team like the Marlins will give their starters every chance to prove themselves for 2019 and beyond. 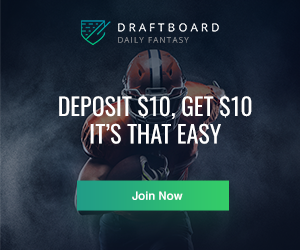 The questions for fantasy owners are: who has the best chance to make an immediate impact, who is worth holding in dynasty, and who can be ignored? Jose Urena is a name very familiar to Marlins fans as he has been in the rotation the better part of the last three years. He may also be known to Braves fans for one particular reason. Controversy aside, Ronald Acuna is far from the only batter Urena has plunked. His 12 HBP in 2018 were more than only six other pitchers and actually constituted a drop from 14 the previous season when he led the majors in hit batsmen. This is more a result of aggressiveness than wildness, however, as Urena's career 8.1% walk rate is below the league average of 8.5%. Urena doesn't put a ton of runners on base and he induced grounders on nearly half of all batted balls last year (49.6% GB%). Sadly, his strikeout rate is a paltry 18.3% and his 8.8% swinging strike rate is a full two points below league average. He is simply an innings-eater who plays in a favorable park. Were he backed by a lineup that could get him to 12+ wins, his profile wouldn't look too dissimilar from Dallas Keuchel last year. That's obviously not the case in 2019. Urena can be ignored outside of deep NL-only leagues for favorable streaming matchups. He will likely be displaced in the rotation in two or three years if/when the Marlins are ready to contend. He proceeded to shut down the Mets on two more occasions and blanked the Phillies over seven innings in September but struggled with the Nationals twice. 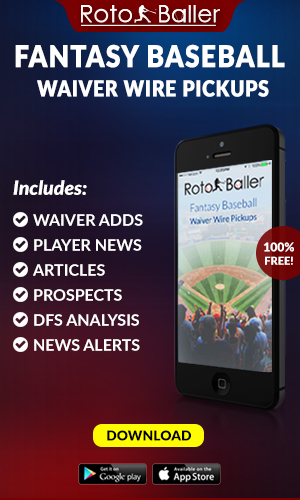 All told, Alcantara finished with a 3.44 ERA, 1.41 WHIP and unsightly 4.8% K-BB% thanks to an inflated walk rate. As is the case with pretty much every young pitcher, control will determine whether he can be effective over long stretches. Alcantara has a plus-plus fastball and three off-speed offerings that can throw hitters off balance. If he can keep his sinker closer to the zone more often or develop his curveball into an effective fifth pitch, there is SP2 upside here. It's too soon to target Alcantara for re-draft, seeing as how he is 23 and has all of 158 innings pitched above the Double-A level, but he could pay dividends in the second half. He is the one Marlin to stash in dynasty leagues for strikeout upside, although it could take a year or two for him to figure things out. Among all the youngsters thrust into Miami's starting five last year, Trevor Richards may have fared the best. His ratios weren't pretty (4.42 ERA, 1.39 WHIP) but he underperformed slightly on his .246 xBA and gave up a whopping 30% line drive percentage that simply has to show positive regression. Here's another reminder that Marlins Park ranked dead last in HR Park Factor for right-handed batters and was fourth-lowest for left-handed batters. If he can induce more fly balls than laser beams, that's a step in the right direction. Cutting down on his 9.9% walk rate would also help, although he never had a problem with control in the minors so this is a legitimate possibility. Richards' main appeal lies in the ability to induce whiffs 26% of the time. 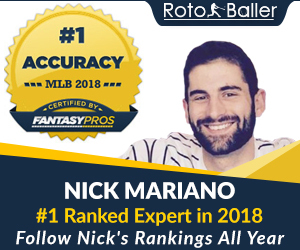 With a fastball that barely clocks in at 90 MPH and ranks in the 18th percentile in spin rate, his bread and butter is a highly deceptive changeup that he throws about one-third of the time. When hitters swing at his change, they're missing it 41.2% of the time. He rarely leaves it hanging either, with a low(ish) 6% meatball rate. Here is the difference between swings and miss (above) and hits allowed (below) on the changeup in his rookie campaign. Richards will have to locate extremely well to limit damage since his fastball is very hittable at times. His lack of elite stuff will catch up to him at times and make him susceptible to the occasional disastrous outing, which he experienced six different occasions last season. There is a ceiling on his ability that can't be ignored in spite of the fact he can string together a couple of good starts at a time, as he did last July. 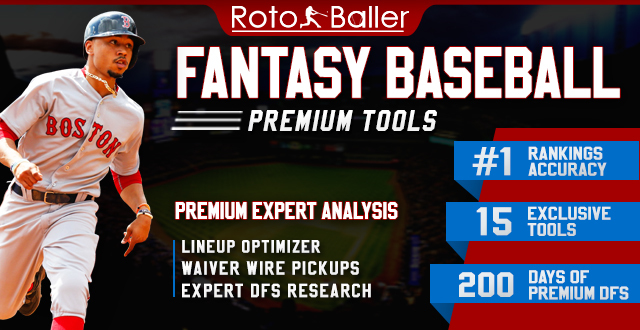 Richards is best utilized in DFS formats against teams that are more aggressive and have higher swing rates or a weakness to off-speed pitches. Mixed league and NL-only owners should pick their spots with him, as he shouldn't be a set-it-and-forget-it rotation piece regardless of his current ratios. A name not recognized by the casual fantasy player, Pablo Lopez is slowly gaining steam as a deep sleeper based on an outstanding spring. Through 20 innings of work in the Grapefruit League, Lopez has allowed 10 hits and two earned runs with a 16-1 K-BB rate. That's flat-out dominant, even if it is just spring training. For that reason, Lopez will find himself in the fourth or fifth spot of the rotation. Lopez got off to a slow start in the minors after facing Tommy John surgery in 2014. He showed no ill effects and climbed slowly through the ranks of the Marlins' farm system. He pitched to an 0.62 ERA in Double-A Jacksonville with a 24.9% K-BB% before moving up to Triple-A. As a member of the Baby Cakes (yes, this is a real minor league team name), Lopez was solid (3.38 ERA, 1.07 WHIP over 18.1 IP) and got a taste of the bigs with 10 starts (4.14 ERA, 1.26 WHIP over 58.2 IP) before succumbing to a shoulder strain to end the season. While it's tempting to overreact to spring numbers, most fantasy owners know better. This is a 23-year-old with barely any experience above the Double-A level that was never a top prospect in the Mariners system before being traded. Even in a relatively barren landscape that is the Marlins farm system, he never truly stood out until March of this year. Lopez doesn't figure to be a fantasy factor in any way other than a matchup-based streaming option, as he'll probably stay at the back of the rotation long-term. Former Yankees prospect Caleb Smith is the only lefty currently on the staff. He is also one of the biggest wild cards and can be considered the other veteran, along with Urena, having started 16 games for the Fish last season. Smith showed signs of his talent in 2018, posting a 27% K% and a fastball spin that was in the 79th percentile. He earned tremendous whiff rates on both his secondary pitches, with a 37% Whiff% on his slider and 33.7% on his changeup. 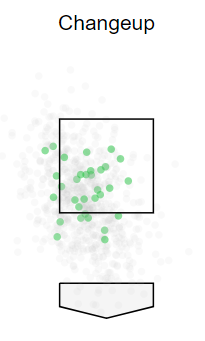 The issue has been controlling his four-seamer, which only happens in spurts. In all, throwing his fastball nearly 60% of the time led to an inflated walk rate of 12.5% and a .375 WOBA. It's not that he was hit hard, but elevated pitch counts led to shortened outings and general ineffectiveness on off nights. That's the reason he only posted five quality starts out of 16 attempts. 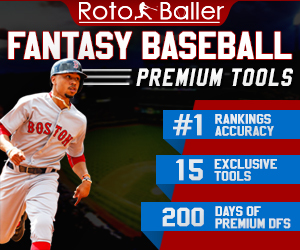 Smith has already proven he can make Major League batters swing and miss, but he will need to prove he is able to do so on a consistent basis before he can be trusted in fantasy leagues. His "advanced age" of 27 makes him less enticing in dynasty leagues than his teammates but Smith might be the one who is most likely to be fetched off waivers in re-draft leagues this year. The fact that he ended last season on the 60-day DL due to shoulder tightness in his throwing arm and posted a 4.04 ERA this spring is enough to throw cold water on his early-season value. A closer look reveals a 19-1 K-BB rate and a healthy arm. He is someone to monitor in deep mixed or NL-only leagues for now but could wind up being the best of this bunch in 2019. It stands to reason that at least one of these young pitchers will find himself either on the Injured List or back in the minors for more seasoning at some point. Don't worry, it doesn't necessarily mean that we're going to see Chen back in the mix. While the Marlins' prospect ecosystem ranks 25th according to Baseball America, the bulk of the talent lies with its pitchers. Here are some other young players we could see on the mound for Miami this season. Nick Neidert is all but guaranteed to be in the majors at some point in 2019, barring unforeseen circumstances. Neidert doesn't overwhelm hitters but he was able to average a strikeout per inning at Double-A Jacksonville. He was Miami's minor league pitcher of the year after leading the Southern League with 12 wins and 152 2/3 innings. His advanced control should make him the first name called if the Marlins find themselves in need of rotation help. Zac Gallen is the other piece of the Ozuna trade that may prove fruitful. He was a pivotal piece of the UNC Tar Heels rotation for three years until becoming a third-round pick in 2016. He quickly climbed the ladder up three levels in 2017 and made 25 starts in 2018, where he will start this season. Gallen is not dissimilar from Neidert in terms of physical stature and pitching profile as a back-end starter who will neither overwhelm with electric talent or put his team at risk through repeated bad outings. Jorge Guzman may wind up being the only substantive value the Marlins gained from trading former MVP Giancarlo Stanton, other than getting his albatross of a contract of the team's neck and payroll. Guzman is a flamethrower who is still raw but could find himself in the majors later this season. He touches 100 on the radar gun at times but unsurprisingly his control is an issue. Guzman might be better suited for the later innings and as such is a risky fantasy proposition even if his raw talent makes his arm the best among the current minor league crop. Jordan Yamamoto was a Brewers prospect overshadowed by the offensive pieces the team acquired when they dealt Christian Yelich. Things will have gone awfully wrong for the Marlins if Yamamoto outshines Lewis Brinson, Monte Harrison, or Isan Diaz at the Major League level but that doesn't mean he can't be a key contributor too. The 22-year-old Hawaiian isn't very far along in his development, having pitched just 17 innings at Double-A last year. 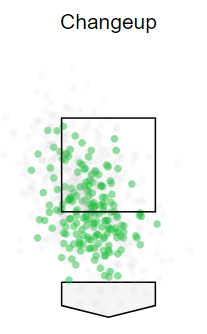 He has done a good job of limiting hard contact so far and doesn't dance around the strike zone. While he ranks lower than all the other players already discussed, there is a chance Yamamoto works his way above pitchers like Gallen and Neidert and find himself as a rotation piece in late 2020.